It is what it is. 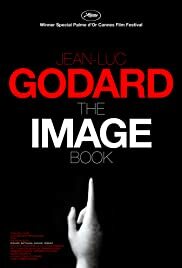 LE LIVRE D’IMAGE (THE IMAGE BOOK) is a Godard film. So, one would know what to expect. When Godard was speaking at the Q & A after the screening of his film LE COLEUR DE LANGUE at the Toronto International Film Festival, he described the transition of one scene in the film to another. The description made no sense at all and no one would, in his or her right sense of mind even guess the intention of the director. The same can be said for Godard’s LE LIVRE D’IMAGE. Nothing much makes sense in the film and there it is pointless to try even to make some sense of the images. Godard’s film contains plenty of clips from films through the decades with a clip even from Pier Paolo Pasolini’s THE LAST DAYS OF SODOM. How these films are connectedly to for example the Joan Crawford classic, JOHNNY GUITAR is anybody’s guess. There is a spill of a complaint on human’s lies being told when the JOHNNY GUITAR clip was played, so one can guess at Godard’s dissatisfaction on human’s and likely politician’s speeches. Still, there are pleasures derived from a Godard film. Godard is inventive and has disregard for the rules of the cinema (his jump cuts in A BOUT DE SOUFFLE or BREATLESS, the film’s English title, put him instantly in filmmaking Nouvelle Vague fame). So best thing is to sit back and to enjoy the collage of images (many in over-saturated colours, which appear to be his favourite from his past two films; cinematography is by Fabric Aragno) that flash on the screen, the assemblage of classic films over the decades of filmmaking and his own philosophical sayings. It does not matter if much sense or continuity can be made. THE IMAGE BOOK was selected to compete for the Palme d’Or at the 2018 Cannes Film Festival. Although it did not win the official prize, the jury awarded it the first “Special Palme d’Or” in the festival’s history. LE LIVRE D’IMAGE has a special engagement run at the Bell Lightbox. Venture to see Godard’s latest film if you dare. Remember it is a avant-garde horror essay – the best words (taken from Wikipedia) that best describes the film. According to Godard, the film is intended to be shown on TV screen with speakers at a distance in small spaces rather than in regular cinemas. It was shown in this way during its first run at the Théâtre Vidy-Lausanne in November 2018.